With a lot of charisma and a dash of bougie, Shaniece, a Brooklyn native made her way to New Jersey. In 2016, Shaniece received her Bachelors of Science in Business Administration with a dual concentration Business Management & Marketing from Kean University. As service has always been an important factor in her life, being half of Goddess Culture, a community of women empowering, encouraging and embracing each other, came naturally. Many of her most treasured life experiences have come from traveling the world. When she isn’t on a plane or perfecting her Garageband editing skills, she probably has camera in her hand, capturing life’s beauty. 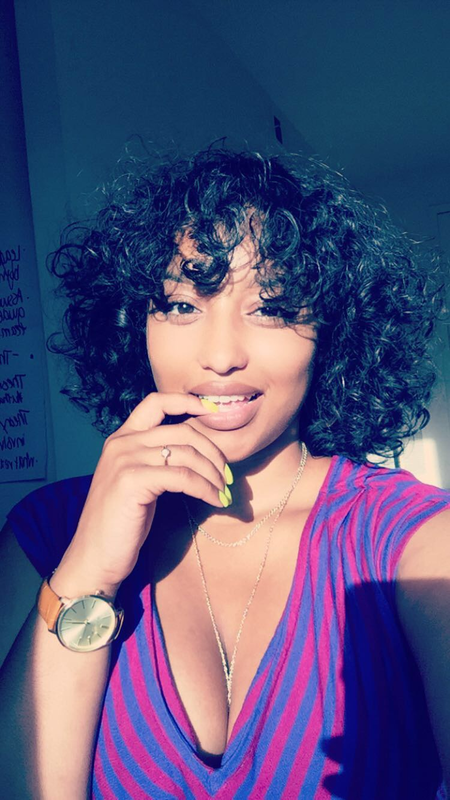 Hailing from Columbus, Ohio, Jordan is a 20-something year old, hair flipping, lipstick wearing millennial maven. College brought Jordan to New Jersey in 2012, but her want for fast paced life and her job kept her there! In 2016, Jordan received her Bachelors of Science in Business Administration with a dual concentration in Marketing and Management from Seton Hall University.She is inspired by creating a space for people to feel empowered, encouraged, and embraced through self-care . When she isn’t planning episodes of Goddess Culture or recording, she can probably be found in nail salon, eating, or creating hand-lettered pieces with her company: With Love, George.